Our Main Classroom is open plan, with the exception of the 0-2years Tiny Terrapin area and dining area which are partitioned off. We have: a cosy story section where the children’s imaginations flourish, a craft area to develop their creative skills, a home section and dress rail for role play development and a multi use play and learn area where the children have everything they need in order to thrive. 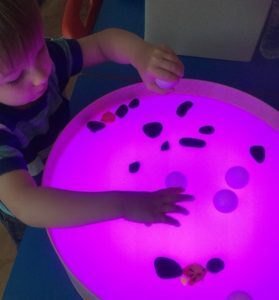 We also have a sensory room with sensory development toys, a sensory light table and lots more. The Tiny Terrapin area has a separate baby sleep room, helping children to keep routines and recharge their batteries. 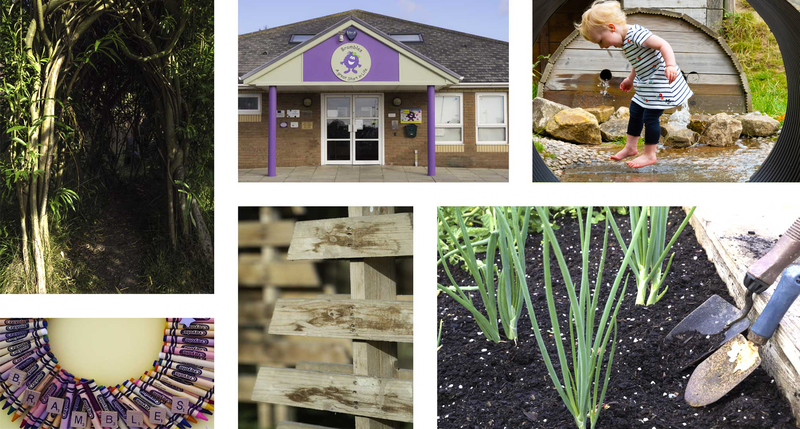 Our innovative outdoor area has a variety of areas to encourage growing and learning. 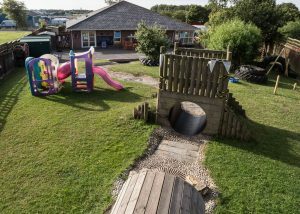 We have: an amazing sensory stream which children love to walk through, tunnels through hills and a willow tunnel for our budding adventurers, a play frame which is a firm favorite at Brambles, a newly renovated wendy house and a brilliant construction area where the children love to partake in role play, a separate toddler area, a garden which they help to look after and a poly tunnel where the children grow plants, fruits and vegetables. Everyone loves to play outside at Brambles. We have an on site Kitchen with a dedicated cook who provides daily healthy meals and snacks for the children.